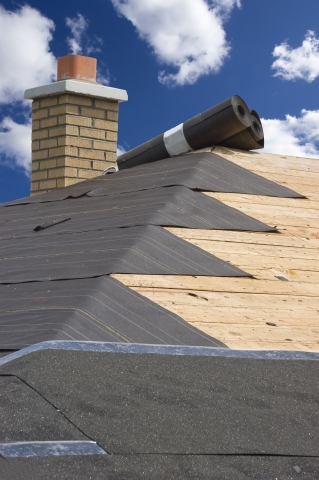 Keeping your roof in good shape can be quite a job, but it’s ours. At Tim Leeper Roofing, we understand what your roof deals with all year round, and we are committed to being its strongest ally. Whether you own a business or you need residential roof care, we are your answer. Not only do we physically work to preserve roofs, we empower our clients to know when to call us and avoid extensive, costly repairs. In our last blog, we explored two reasons why roof shingles curl. Today, we have two last reasons to give you. Whether you inherited your roof or decided at one point to install new shingles over the old, it’s always bad news. In some areas, it’s even illegal. Not only does it inflict serious weight on your home’s structure, it’s nearly impossible for new shingles to seal over old ones. As a result, they will peel off in high winds and curl easily. All roofs are ventilated; it’s the only way to prevent heat and moisture from getting trapped in your attic. When you don’t have adequate ventilation pulling air in from the outside, the roof deck gets hot and suddenly, your shingles are dealing with trouble from both sides. This makes them wear down faster, which means fading and curling. Let the expert team at Tim Leeper Roofing help keep your roof going strong. Contact us for the best residential and commercial roofing today!